Vertical Medicine Resources is excited to provide a mountain centric WFR recertification as an MRA pre-conference. It is aimed to provide in-depth knowledge of climbing and wilderness medicine and the basic skills to treat the most common injuries and illnesses encountered in a mountainous and high angle environment. This program has been specifically designed for professional guides, members of search and rescue teams, and other non-medical persons who want a deeper understanding of climbing and wilderness medicine. Vertical Medicine Resources covers all of the requisite topics required of all standard WFR-R courses and emphasizes the vertical environment and protocols of MRA teams. We have worked closely with members of the MRA conference planning committee to develop a program that meets the needs of MRA members and best prepares them for the type of climbing illnesses and injuries they will encounter during rescue situations. This is a minimal gear rescue course, originally designed for cave expedition self rescue, but with equal value to mountain, glacier, and cliff hasty team rescue responses. No rescue "cache" gear is used in the course...only what you wear on your harness or have in your hasty pack, similar to a crevasse rescue situation. Belay lines seldom utilized in SPAR rigging. Course assume moderate competency in rope travel (ascend, descend, changeovers, passing knots), a very basic knowledge of mechanical advantage systems, and basic knots. A review package will be sent 4 weeks in advance with pre-reading and review material. Techniques covered are improvised haul systems, counterweight systems, converting static loaded rigging to a rescue system, contingency rigging, and numerous pick off techniques for single rope problems. The philosophy of the course is to do a lot with very little when urgency is high and time for a full rescue response is not there. Course also covers decision making and situation reassessment, hasty medical for ambulatory patients, patient movement techniques (no litter), and dealing with confined spaces (crevasses, caves, fumaroles, fissures, etc.) Students must provide their own harness, helmet, gloves, headlamp, and basic rope travel gear, to include a rope climbing system. Meals provided on site. Transportation to/from Timberline/Mazama Lodge included. End: Thursday June 6th, 2019 (4pm)- SOLD OUT!!! Canyoneering as a sport has seen an explosive growth in popularity all across the United States and the world over the last several years. Rescue teams in the Desert Southwest have long been dealing with the increased need for rescue from the classic slots canyons of the area, and now the need for rescue from the aquatic canyons found elsewhere is also increasing. 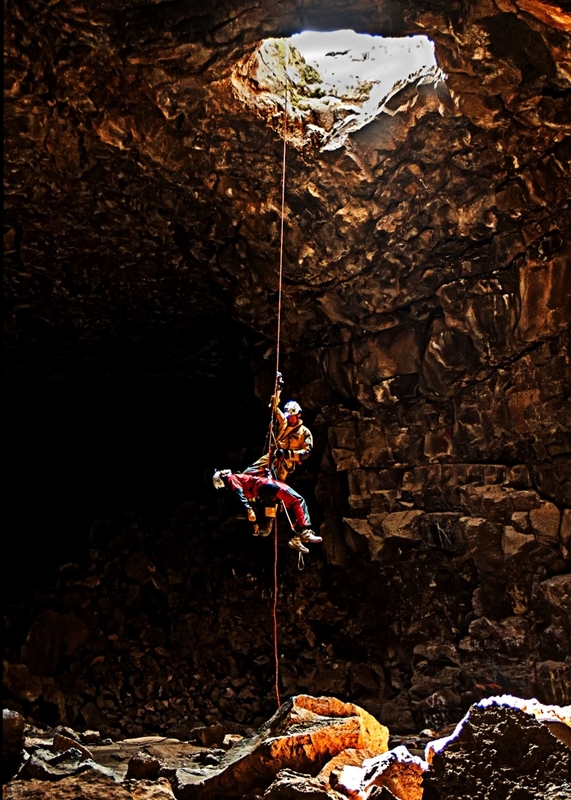 This two day seminar is intended to bring experienced mountain rescuers an opportunity to get hands on experience navigating aquatic canyons and to collaborate as a rescue community on best practices for rescues out of the difficult environments. The program will consist of approximately four hours of classroom instruction/discussion with the remaining time spent on rope or in the water (or both!). 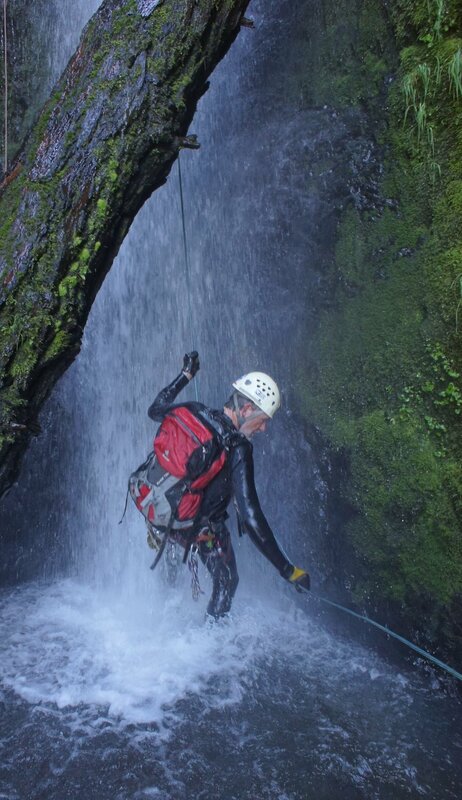 Techniques used for recreational canyoning, as well as various technical rescue systems, will be practiced. Due to the technical nature of the aquatic canyons in which this activity will be held, it is expected and required that all participants should be knowledgeable and experienced in single rope technique rappelling, ascending, and belaying. All participants must come equipped with their own basic technical equipment (helmet, harness, etc.) and thermal protection (in the form of a full wetsuit 3mm think or greater, drysuit, or equivalent combinations). Limited wetsuit rentals are available locally, and can be picked-up/dropped-off by conference organizer. Contact course organizer below for information More detailed information on the required equipment will be provided as the conference approaches. Questions about this program can be directed to Jason Bowman (jason.bowman@co.lane.or.us, (541) 520-7612).